Pak Choi / Bok Choy / Chinese Cabbage (Brassica chinensis) is a member of the mustard family. Pak Choi and its variations are amongst the most popular vegetables used in Chinese cooking in Hong Kong, parts of Southern China, and is now an everyday ingredient in European cooking. The Cantonese name is bok choy or pak choi, and the Mandarin name is bai cai. 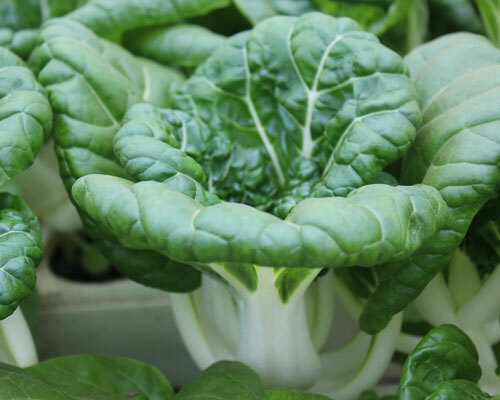 The name "Pak Choi" means "white vegetable" in Chinese. 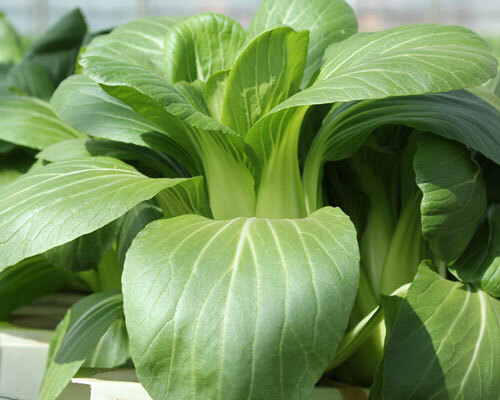 Pak Choi leaves are soft and succulent, with crunchy white or green stalks and young sweet flavoured flower shoots. The whole plant is edible. Pak Choi has a slight mustard flavour taste, which makes it a complimentary addition to stir-fries, soups, noodle and meat dishes, and salads. This is one of the most popular Chinese vegetable worldwide and can be found in most large UK Supermarkets. The most popular varieties in the UK are Baby White Pak Choi and Green Pak Choi; an example of a less common variety is the Purple Pak Choi. Rokewood Ltd grows and supplies UK Pak Choi all year. Pak Choi has a very mild flavour so it's best to steam or stir-fry with other strong flavoured vegetables or main dish. It is also important not to over-cook it, you want to retain the juicy crunchiness of the stem bases. Pak Choi should only take 2-3 minutes to cook in a steamer, and to stir-fry in a frying pan or wok, cook over a high heat with 1 tbsp of vegetable or nut oil for 2 minutes - make sure you keep stiring! It can also be dried by dipping the leaves in boiling water and hanging them out to dry in the sun for several days. Drying enables this highly perishable vegetable to be stored for winter months. One of our all time favourite is Pak choi with scallops, which was originally published in the Telegraph Newspaper. 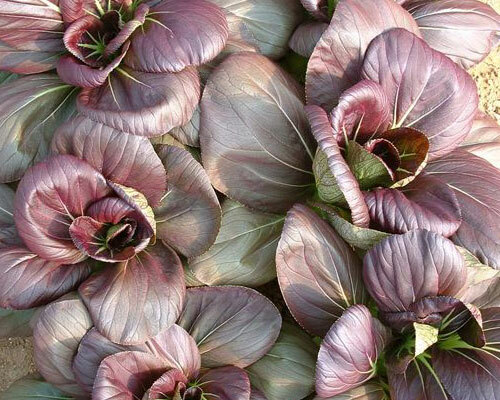 Don't limit your Pak Choi recipes to Oriental dishes, its super mild taste would be suited to all culinary appetites! Keeps well in fridge for up to 5 days if purchased fresh, discard any yellow or wilting leave.